Victor Viggiani is currently the News Director of ZlandCommunications an international news service. His study of anomalous aerial phenomenon, research and analysis of Extraterrestrial issues spans over 30 years. 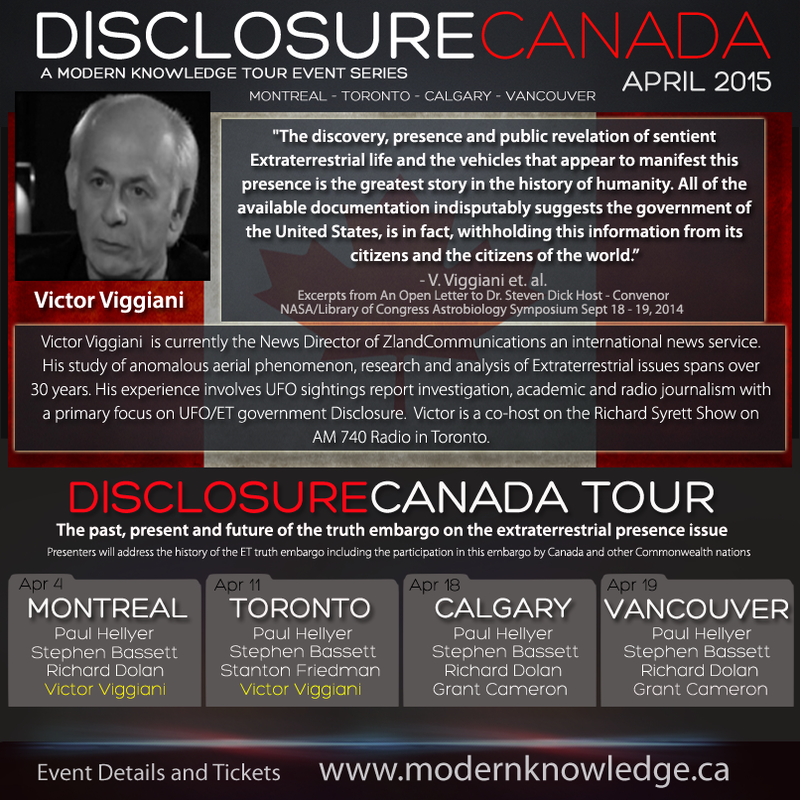 His experience involves UFO sightings report investigation, academic and radio journalism with a primary focus on UFO/ET government Disclosure. 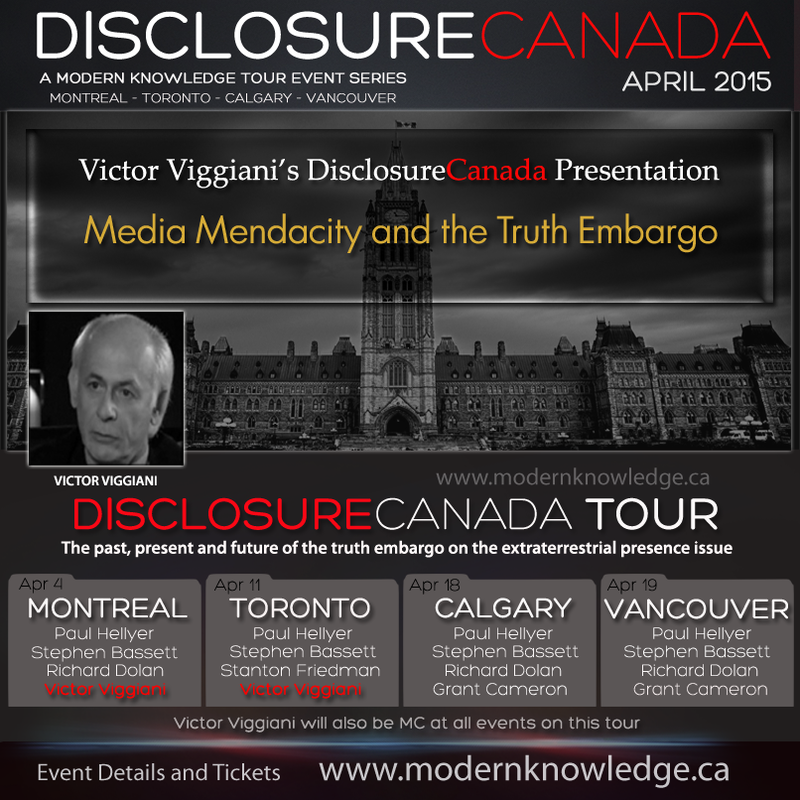 Victor has addressed the media and audiences in Sydney and Brisbane Australia, Washington D.C., at the Washington D.C. National Press Club, on CBC and CTV Toronto television news programs and at Convocation Hall University of Toronto. Victor is a co-host on the Richard Syrett Show on AM 740 Radio in Toronto.